San Miguel vs. 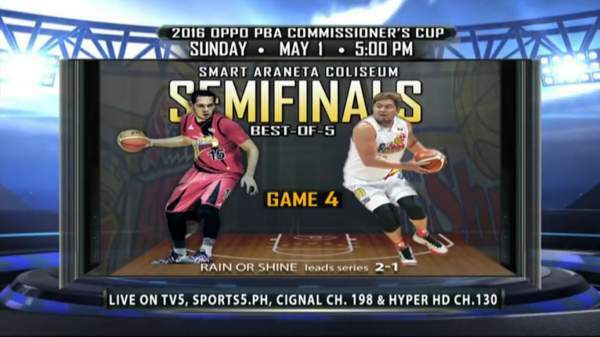 Rain or Shine: Semifinal Schedule, Results, TV and Live Stream Info (2016 PBA Commissioner's Cup) - Balita Boss! The 2016 PBA Commissioner's Cup semifinals best-of-five series between San Miguel Beermen and Rain or Shine Elasto Painters are set and will open Sunday, April 24.